The process of affecting or manipulating the online result of search engines is known as search engine optimization(SEO). SEO is a critical aspect of website ranking. To simultaneously attract traffic to your website, a wide range of activities are required to set a well-ranked webpage. Activities that range from building landing pages, gathering keywords to content writing. These are always put together to have your website ranked with a search engine and also have a good ranking reputation with people that are interested in your niche, but despite all the hard work, a good review by customers can either make or ruin all your good work. As a matter of great importance, while preparing and equipping your website with the needed tools for search engine optimization, it’s also required of you to greatly improve on the quality of services that your produce because by neglecting this, all good work that you have put into this work may end of becoming futile. Moreover, it is a verified truth that all good review(s) on product indirectly increase sales of products. A customer will leave a review (oral or written) either good or bad hence the reason a good review has continuously been hammered in the previous lines. Even though the good reviews have little impact, but a small drop of water makes an ocean. 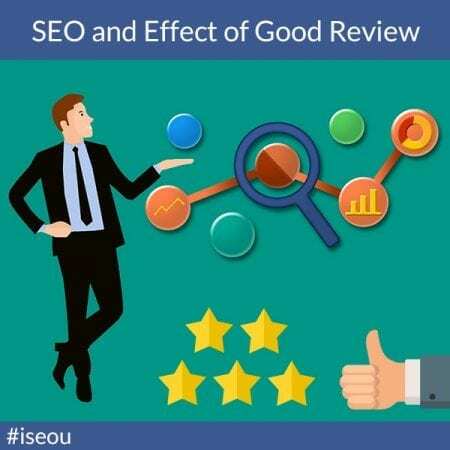 Why does good review have little effect on your business even while your website is soaring high in a search engine? The answer is simple, take for instance after buying a product or service that you like and feel much satisfied with, do you go about shouting and advertising this service? NO? Then the only chance you get to help another consumer patronize the product is if you are consulted in regards to purchasing such product or service. On the other hand, negative review or feedback isn’t the low effect type at all when never you get a product and not satisfied with it such consumer are always very active in their campaign to publicize how bad the service they receive is. Having talked about the bad and good review hence it now obvious the reason behind the slow and fast effect of good and bad review. Some other set of customers will not bother to check or know if your website is well ranked in the search engine or not. All they care about is the type of review your website has and what people are saying about the website. Such people believe that what people are saying about your service is the only means that they get to know the truth about such product. SEO is critical in the modern business website because it’s crucial in business, a lot of company are offering premium search engine optimization for the website. One of the best and highly recommended SEO service provider that you should look for is I SEO U irrespective of their professional service you are sure of service maintenance and support on your business. Next PostNext Local Backlink: And Where Can You Find It?